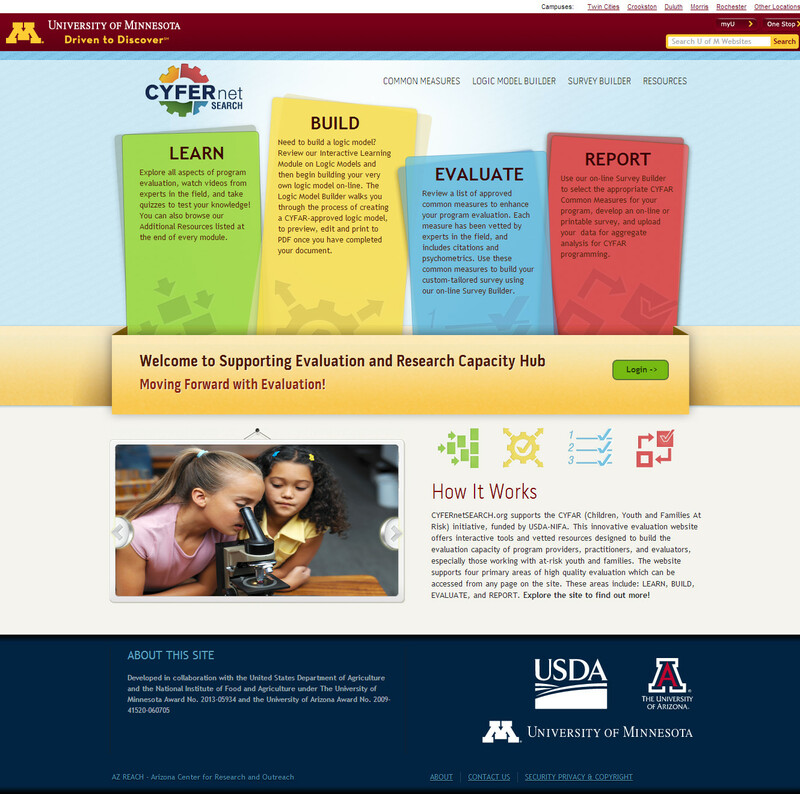 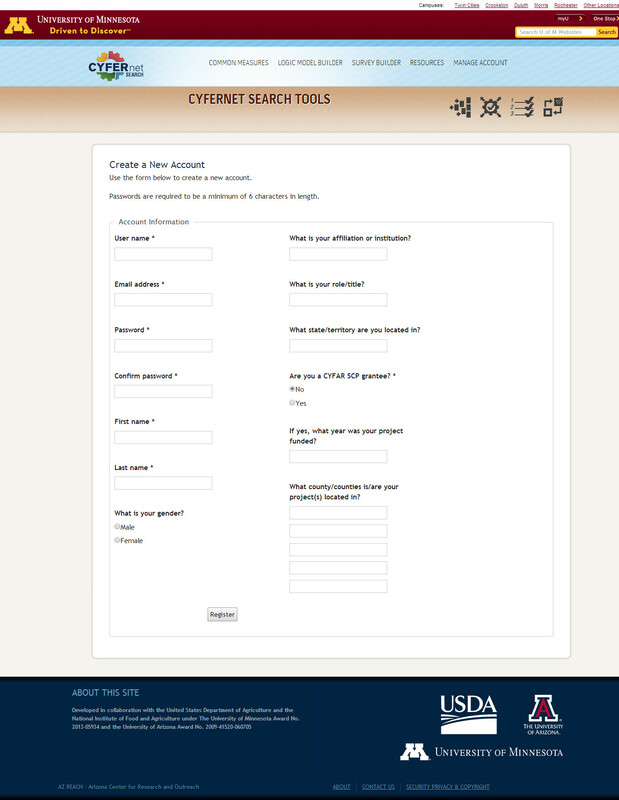 CYFERnetSEARCH.org supports the CYFAR (Children, Youth and Families At Risk) initiative, funded by USDA-NIFA. 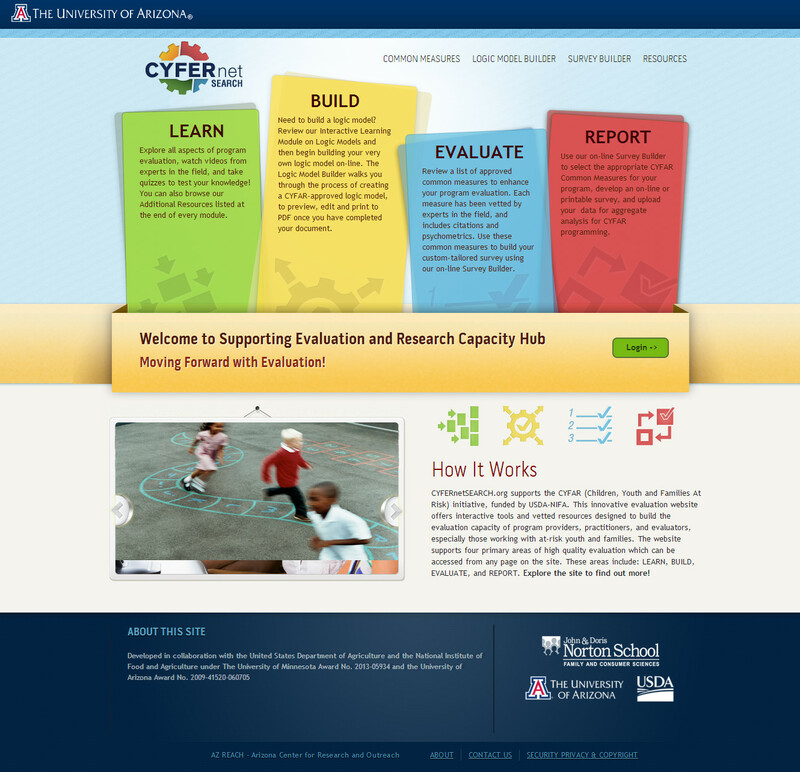 This innovative evaluation website offers interactive tools and vetted resources designed to build the evaluation capacity of program providers, practitioners, and evaluators, especially those working with at-risk youth and families. 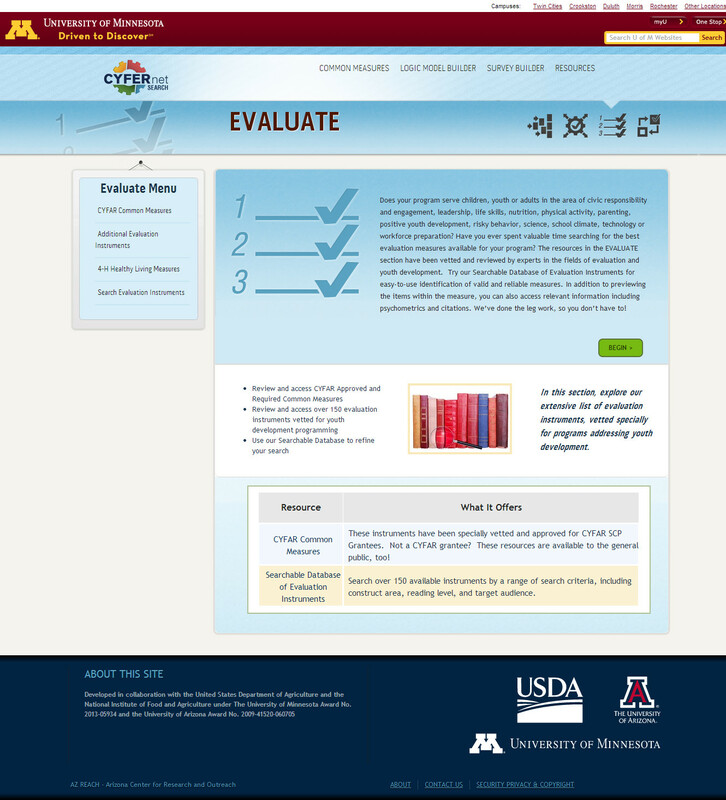 The website supports four primary areas of high quality evaluation which can be accessed from any page on the site. 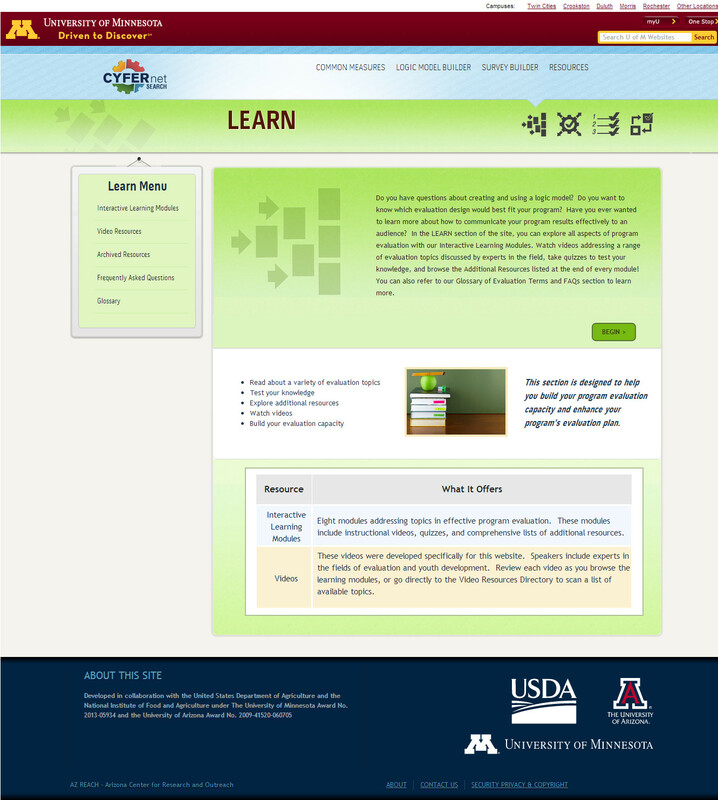 These areas include: LEARN, BUILD, EVALUATE, and REPORT.